The patterns are printed on paper for more durability. Cloth dresses came to the Indian women and girls of North America with the westward movement of the fur trade. 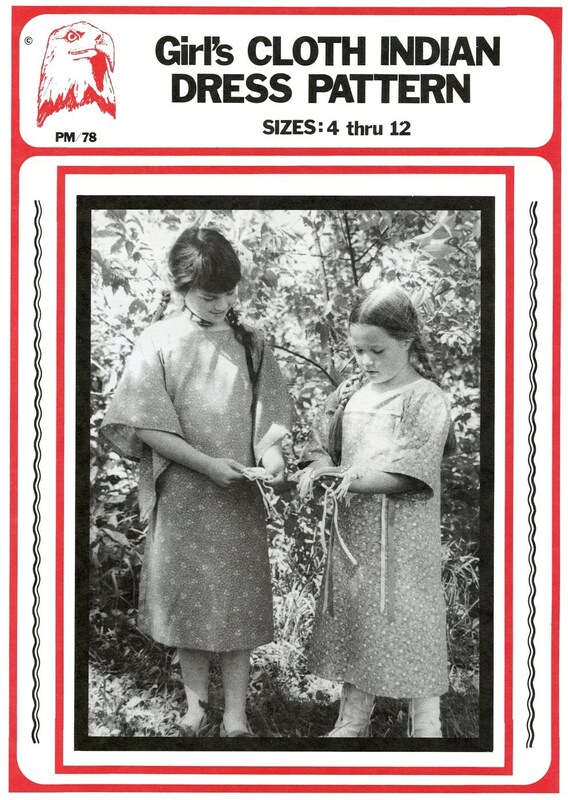 Lightweight calicos were very popular for everyday use, red and blue trade cloth (broadcloth) was used for best dress, and today this dress with ribbons on it is commonly seen at rendezvous and pow wows. 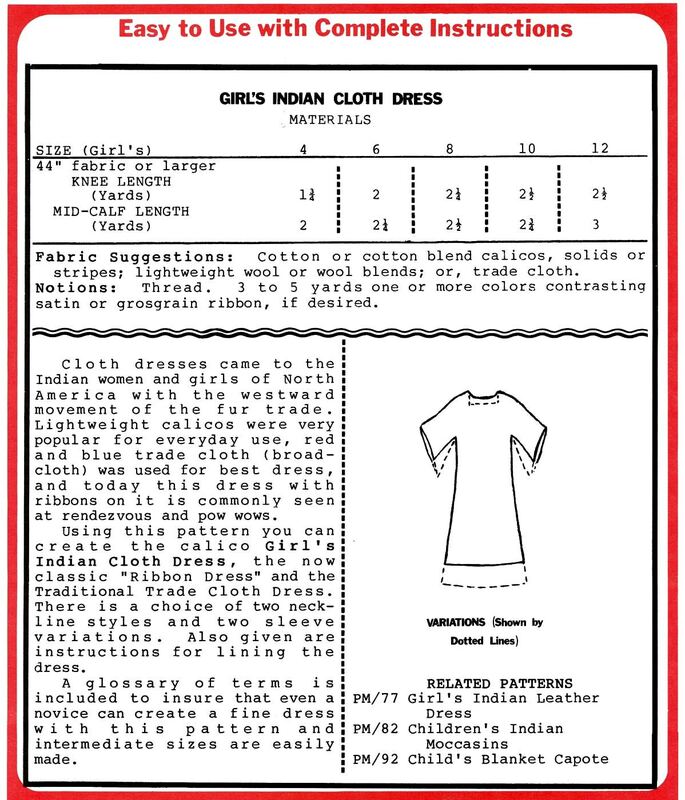 Using this pattern you can create the calico Girl's Indian Cloth Dress, the now classic "Ribbon Dress" and the Traditional Trade Cloth Dress. There is a choice of two neckline styles and two sleeve variations. Also given are instructions for lining the dress. A glossary of terms is included to insure that even a novice can create a fine dress with this pattern and intermediate sizes are easily made.